Specially designed for your little one's delicate skin Tulips Baby Wet Wipes are free from harmful chemicals. These 1st of its kind rash free baby wipes are made from 100% paper which means they will easily dissolve in water when you flush them. Additional Information: Tulips is one of the pioneers in the field of Personal Cotton hygiene, making high quality products since 1999. 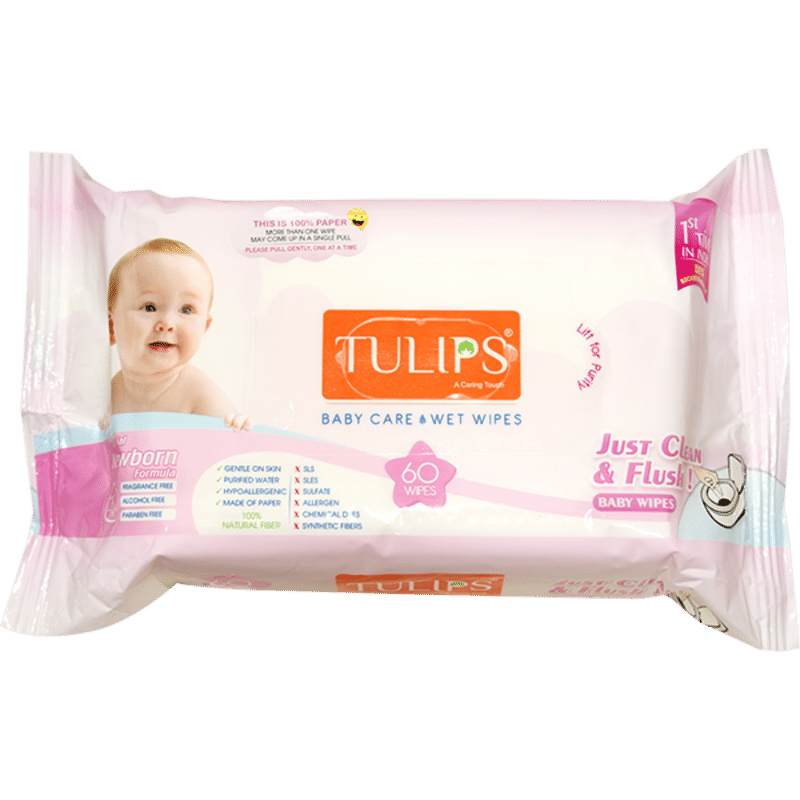 Tulips is today, one of the largest & most qualitative brand in South & Middle East Asia, when it comes to personal hygiene products like Cotton buds, swabs, Cotton balls, Cotton pads, Cotton rolls & pleats.